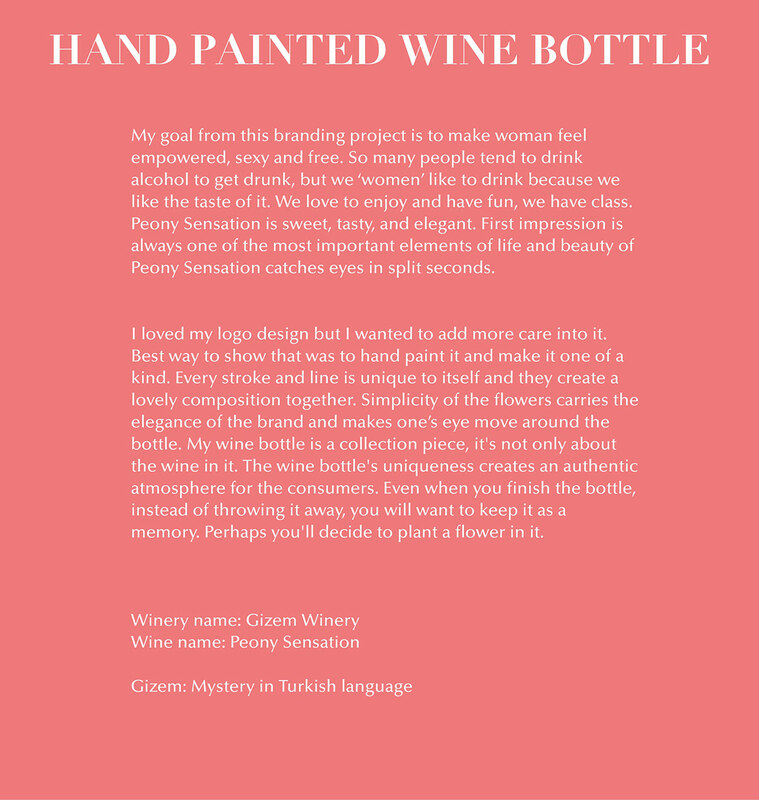 Branding Project; Hand Painted Rosé Wine Bottle. Photoshoot was taken at Swifty's Bar in Utica, NY. 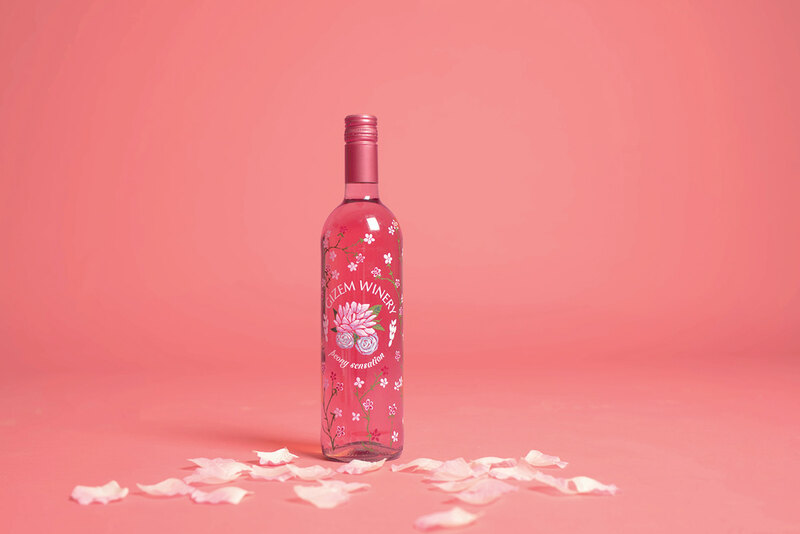 Hand Painted Rosé Wine Bottle. 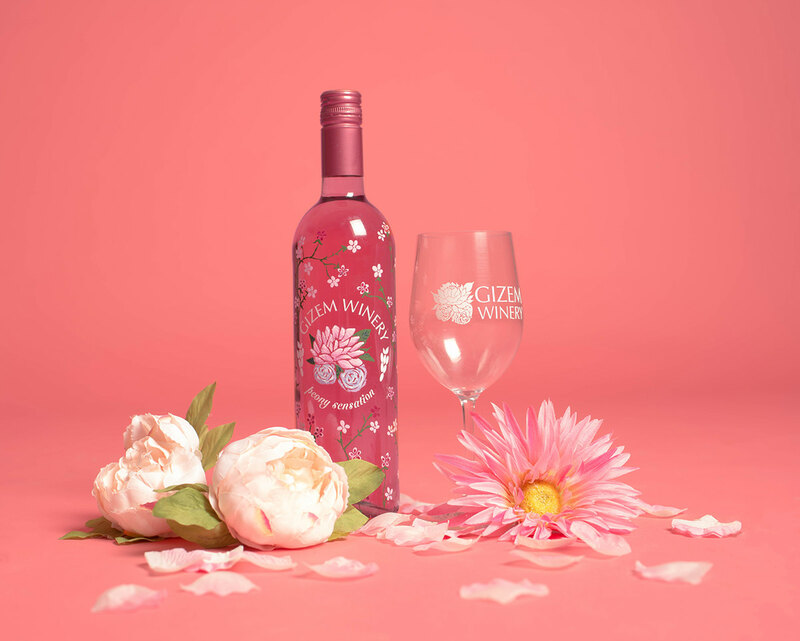 Gizem Winery, Peony Sensation. hand-painted. 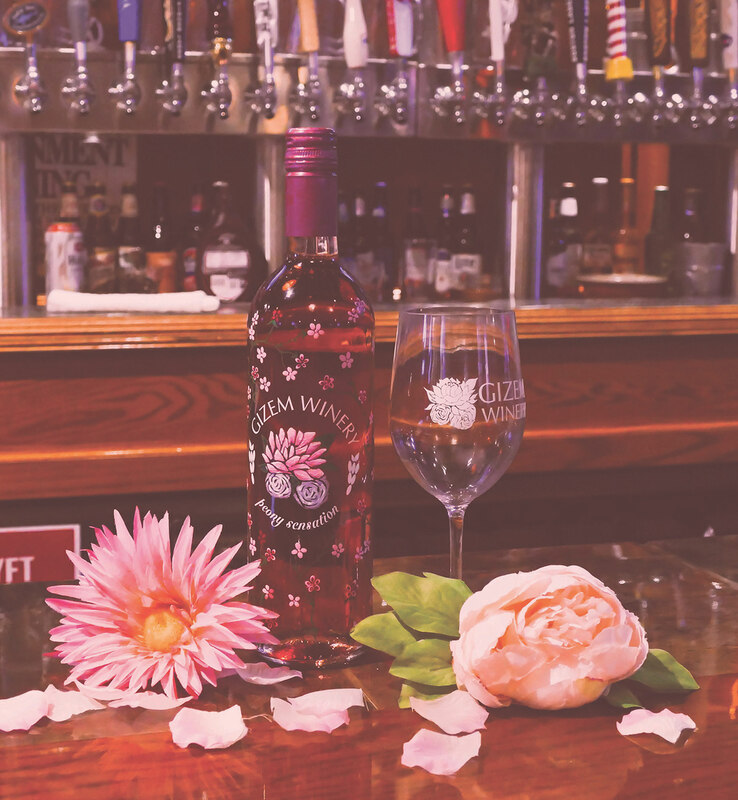 rose wine advertising. Branding.